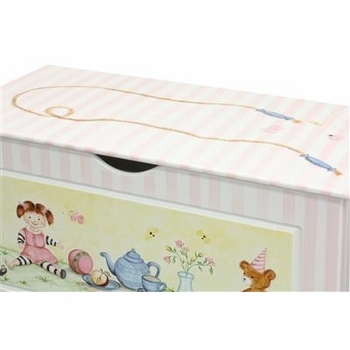 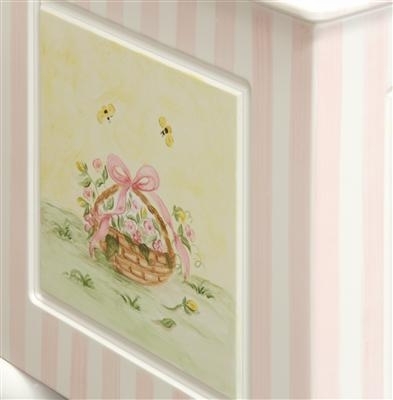 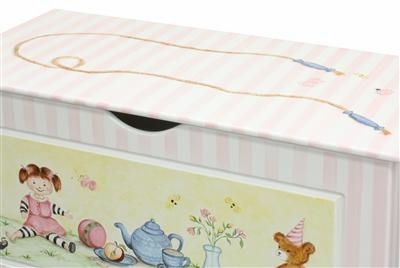 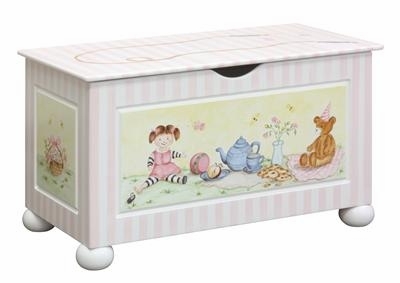 Art for Kids toy chest with tea party motif is a beautiful place to store toys and other items. 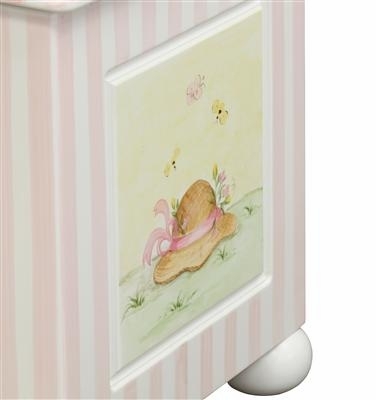 It is available with and without applique mouldings as well as in many finishes. 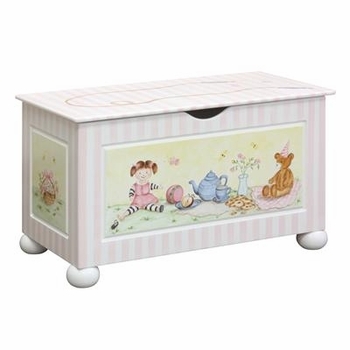 You and your child will enjoy the toy chest.